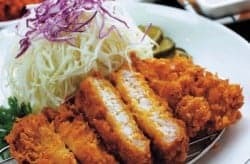 Home » Chicken Recipes » Oven Fried Chicken – spicy oven fried chicken is sure to please all of your guests. Oven Fried Chicken – spicy oven fried chicken is sure to please all of your guests. My husband and son are very very picky eaters and do not like spice in their food. They prefer food to be bland as I like it to have a little flavor. I came across this recipe and tried it. My husband and son can’t get enough of it!!! Thanks to chrissiemc for sharing this recipe. Make this easy oven fried chicken. Ritz crackers make up the breading in this recipe. Preheat oven to 375 degres. Lightly grease a baking dish. Crush Ritz crackers into fine crumbs Mix in salt, paprika, and black pepper with crackers crumbs. In a separate bowl beat the egg and add milk. Melt butter. Dip chicken in milk/egg mixture then coat in crackers mixture. Put chicken in baking dish and drizzle melted butter or margarine over chicken. Put in oven for 30 minutes. Chicken looked nothing like the picture, and there was nothing in it that would make it spicy. That being said, it was still good. I did turn the chicken over half way through the cooking then put it on a cooling rack after i took it out so the bottom wouldnt get soggy. I would make this again. The chicken had good flavor, but the bottom of chicken was not crispy because of the butter. My chicken did not look like the picture. I am sorry your food didn’t look like the picture!